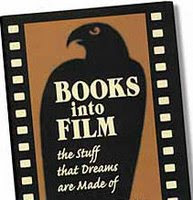 Did you know that many of the most recent and popular movies began life as books? Do you like going to a movie if you've already read the book? 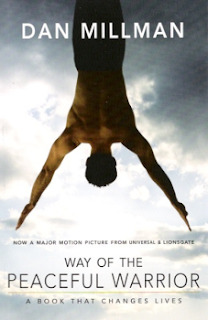 Will you read the book if you've already seen the movie? As a lover of both books and movies, I maintain that you do both. Remember... The film is only one person's interpretation of the original work. The movie has a constricted time frame and couldn't possible include all the content of the novel. Sometimes they tell the whole story well in two hours, and sometimes they miss the mark. I prefer to read the book first, then view the film. Q & A by Vikas Swarup was made into the movie "Slumdog Millionaire". This isn't a new phenomenon, in fact it is starting to feel like there is no originality in Hollywood anymore. Look at Harry Potter, or, the new sensation, Meyer's Twilight series, or a slightly older phenomenon - The Lord of the Rings. And how many John Grisham and Nicholas Sparks books have been turned into movies over the years?! However, despite my frustration at the movie industry's lack of originality of late, I have to say one of my guilty pleasures is watching movies that have been based on books I've read. It's just so much fun to see characters I love come to life in that way!